BMO Online Inventory Malaysia allows your company to receive item with or without purchase order. 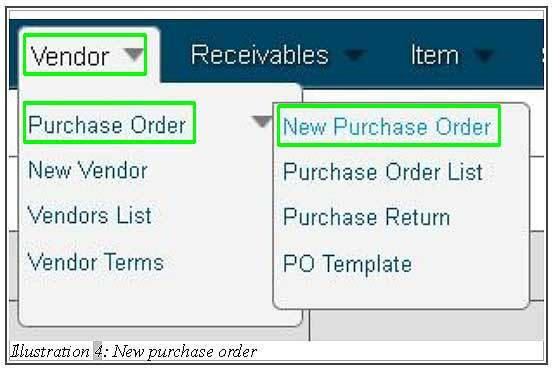 Unlike receive item without purchase order (which can be done easily), user has to create at least one vendor before receive item with purchase order can be done. 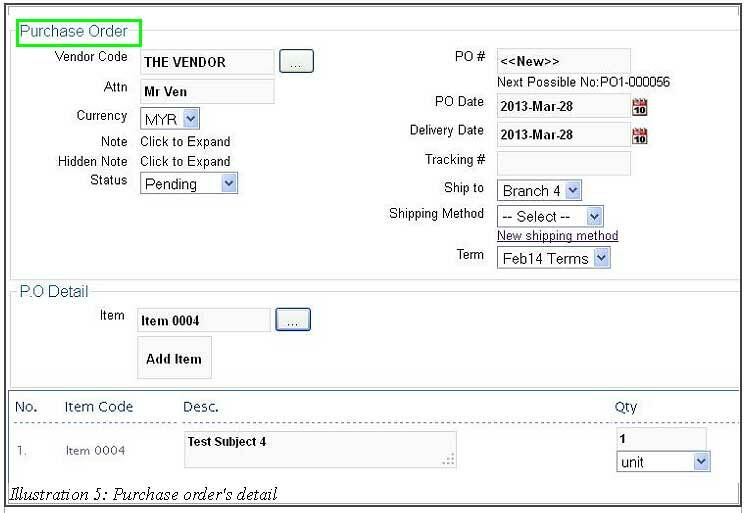 Thus, in this tutorial, we will guide you on how to receive item with purchase order as well as create a vendor. 2. You are now redirect to a new page. You could see a few tabs in this page, which are, Vendor information, Address and Item Supplied. Fill in all the necessary vendor’s detail in Vendor Information tab. 3. Now, go to Items Supplied tab and add in all the items provided by this vendor. 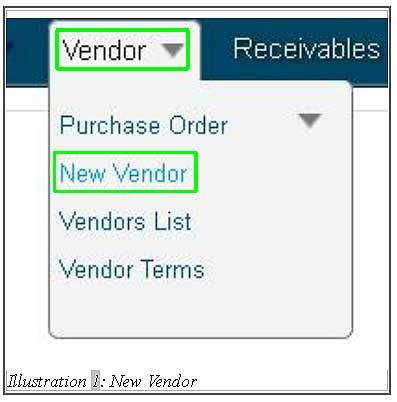 After all of the details of a vendor has been filled in, save the vendor’s detail by clicking on Save button. 4. Now, you are ready to create a new purchase order to receive the item. Go to Vendor > Purchase Order > New Purchase Order. 5. Fill in all the information of the purchase order including the Vendor Code. Finally click Save to save your PO.